Brief Lockout @ Chieftain Elem. Chieftain Elementary was on a brief lockout this afternoon to allow law enforcement to investigate a comment made by a student about a potential threat. Law enforcement has concluded their investigation and there is no threat. The Lockout has been lifted and Chieftain is now running on a normal schedule. As always if you have any questions please don't hesitate to contact Chieftain Elementary @ 740.385.1171. 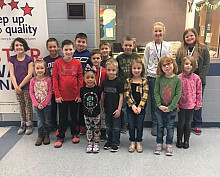 Chieftain Elementary recognizes students who show cooperation, honesty, independence, effort, friendliness and safety on a daily basis. These student were honored at our last monthly PTO meeting and received a medal. Chieftain students are off to a great start. We honored our student of the month nominees at our first PTO meeting on Thursday, September 6. These students are role models and set a great example in their classrooms each day. We are proud of them! Please Note: Chieftain Elementary and the Logan Opportunity School will be conducting a required safety drill tomorrow, Friday, May 11th. 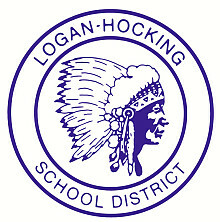 The Hocking County Sheriff's Department and the Logan Fire Department will be participating in this drill. The drill will be simulating a chemical spill scenario. 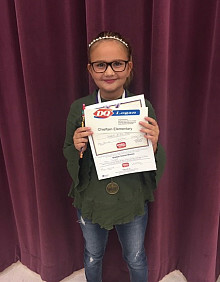 Chieftain Elementary celebrates student of the month for March. School Breakfast Celebration Media Event Early March, the Logan-Hocking School district celebrated National School Breakfast Week, in an effort to help raise awareness of the importance of school breakfast. As part of this celebration, last Wednesday, Chieftain Elementary hosted a media event to honor our partners & showcase the impact the $90,000 Breakfast in the Classroom grant has had on our elementary students. 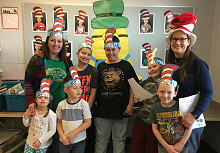 Chieftain students celebrated Dr. Seuss's birthday on March 2. Students were reading Dr. Seuss books, eating green eggs and ham and signing the Dr. Seuss reading oath. Mrs. Fetherolf's class is pictured doing some of these fun activities. 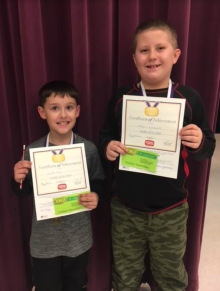 Chieftain Elementary student of the month for January 2018. 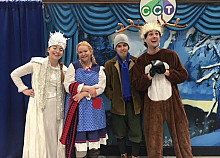 Columbus Children's Theatre performed 'The Snow Queen' for our student body on December 14. The story, by Hans Christian Anderson, was the basis for the movie Frozen. The theme of the program was on kindness. The show was a big success. Thank you to Chieftain PTO for sponsoring it.